Product prices and availability are accurate as of 2019-04-18 08:14:54 BST and are subject to change. Any price and availability information displayed on http://www.amazon.co.uk/ at the time of purchase will apply to the purchase of this product. 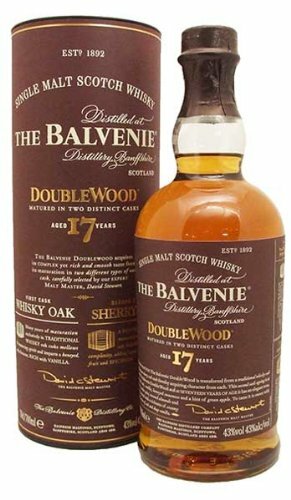 Like the famous 12 year old expression this Balvenie has been matured in two types of cask, the key difference this has been given an extra five years of cask ageing. A great release for 2012. Warm Acacia honey and green apples on the nose leading to warm winter spices, vanilla and honeysuckle on the palate. The finish is gloriously long with notes of vanilla and honey.